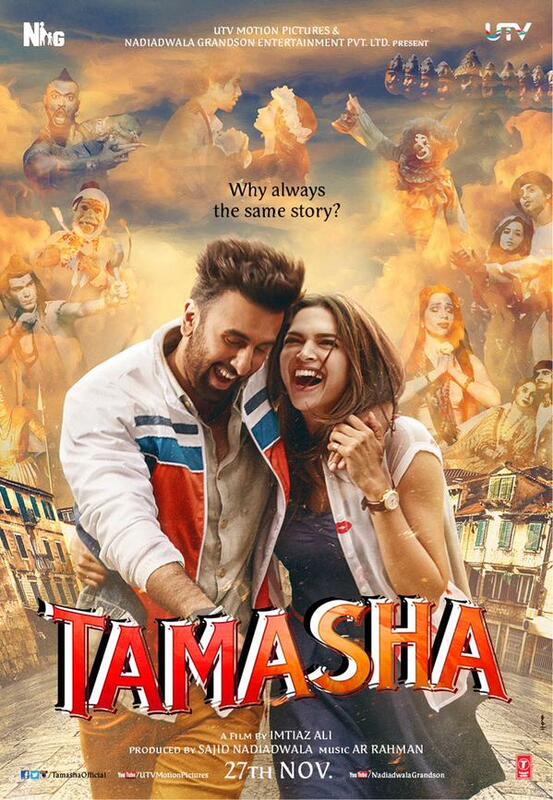 Here is the first look poster of the upcoming film Tamasha which stars Ranbir Kapoor & Deepika Padukone in lead roles. The romantic drama film is directed by Imtiaz Ali and produced by Sajid Nadiadwala. Get ready guys the film is all set to hit the theaters on Nov. 27th. Stay tuned to BR for more updates.